What Does it Mean to Seal and Expunge Records? - BJE Law, P.A. Nobody wants a tarnished criminal record, but felonies, misdemeanors, and dismissed charges certainly occur on a regular basis. If you were convicted or even found innocent and are eager for a way to clean your record, it’s possible that you do have a method of recourse. Sealing and expunging criminal records are both effective means to do so based on your specific situation. Sealed records can’t be accessed by normal means, like future employers or loan financers. While the record certainly still exists and is accessible with a court order, the charges can’t come back to haunt you in daily life. When a crime is expunged from your record, it literally erases the crime as if it never happened. It’s not available to anyone, even with a court order. This allows you to legally deny the existence of the criminal event in a situation like a job interview. Felonies are typically only allowed to be sealed due to their serious nature, while other lesser crimes can be expunged. 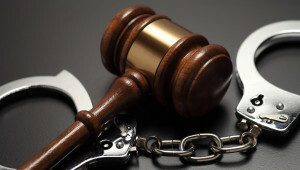 Having your crime expunged is the best route because it can never come back and haunt you in the case of a court order. With that said, you don’t always have the ability to choose your course of action. State laws vary tremendously, so your best bet is to find a lawyer who can guide you through the process. Some states only allow records to be sealed, others only expunge cleared or dismissed charged, and select states are more lenient with their requirements. The process to attain sealed or expunged records typically needs to begin within two years of the most recent court action, and can take anywhere from five to seven months, because you must apply for a dismissal of criminal charges and wait for the petition to be approved. ← Is it Defamation or Personal Injury?